I was so excited to go to a workshop run by the wonderful, talented and oh so lovely Stephanie Dosen of Tiny Owl Knits at Loop in London. We were learning how to knit these Sweet Robin Wristees - a pattern I had seen, and loved but having not had much experience with colourwork, was too nervous to tackle on my own. The workshop was fun and relaxed - it was perfect. 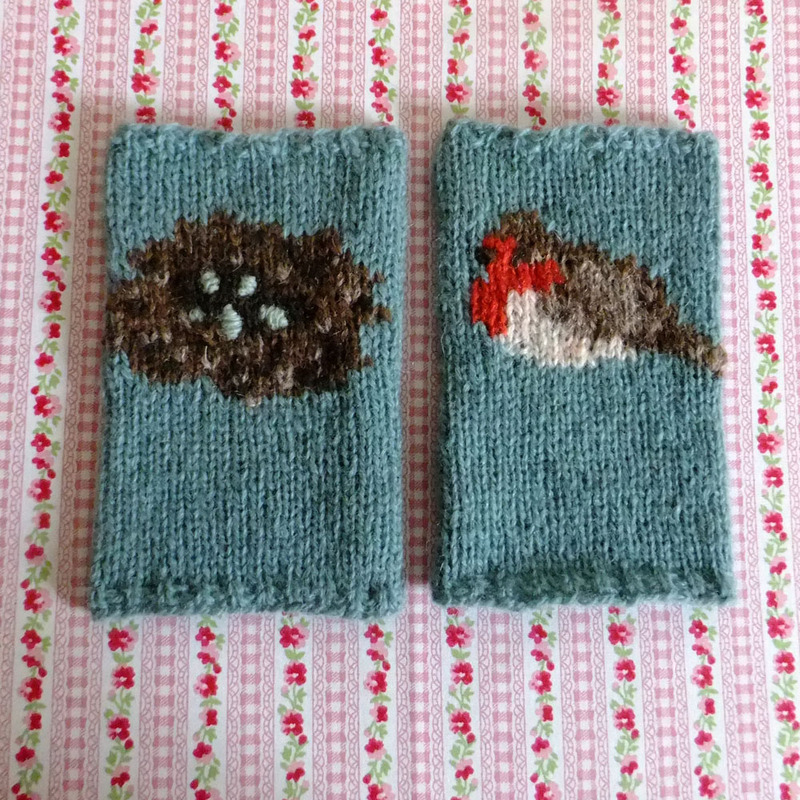 I learnt lots of new things and totally love my finished wristees. 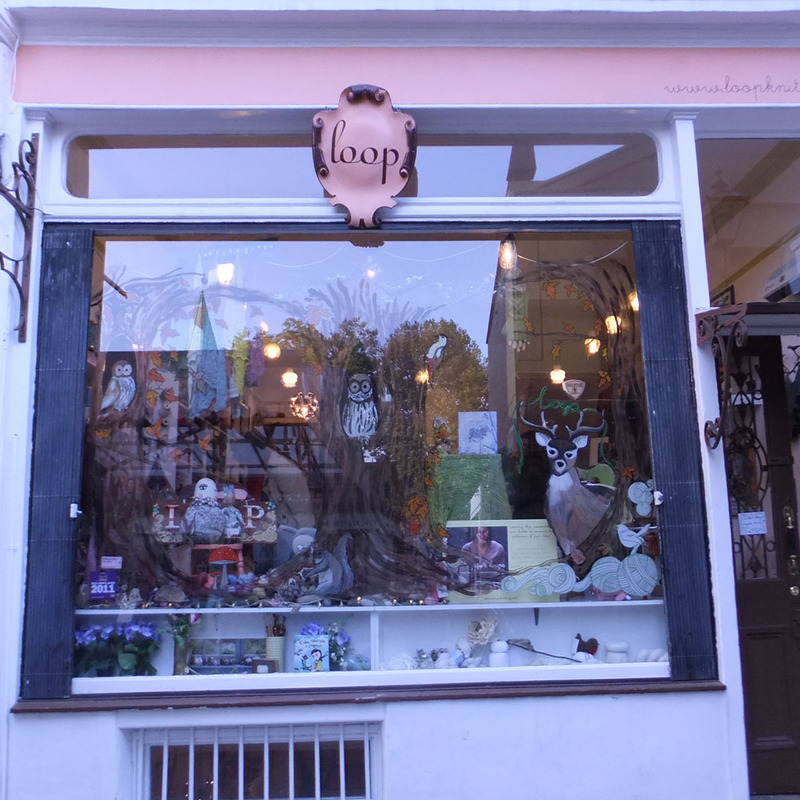 Loop was a lovely place to do the workshop too, and yes my stash was replenished by the trip! 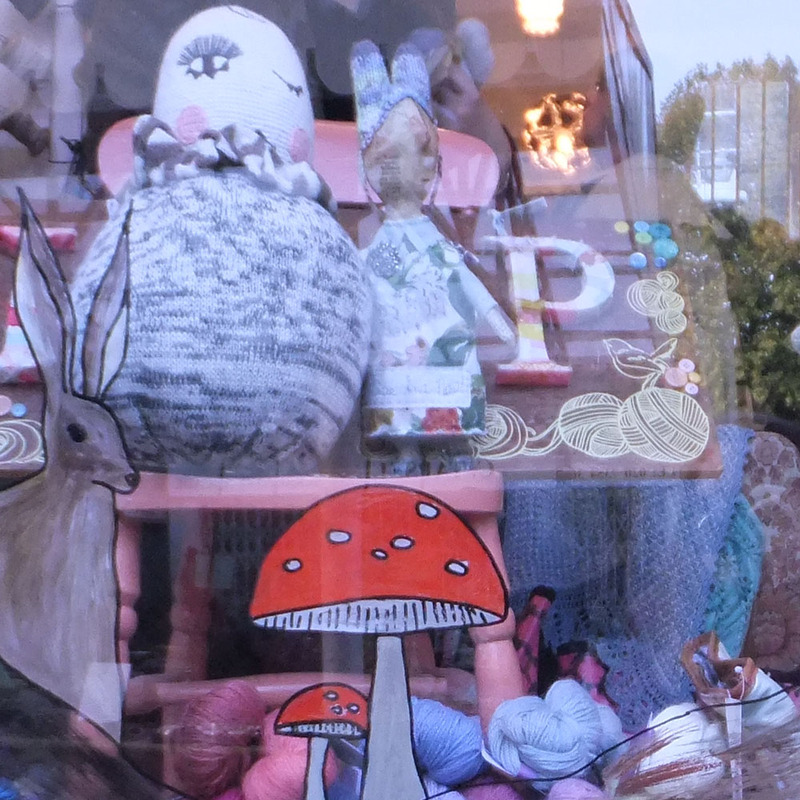 There are no nice knitting shops close to me so it was lovely to go and fondle some yarns I hadn't seen before. 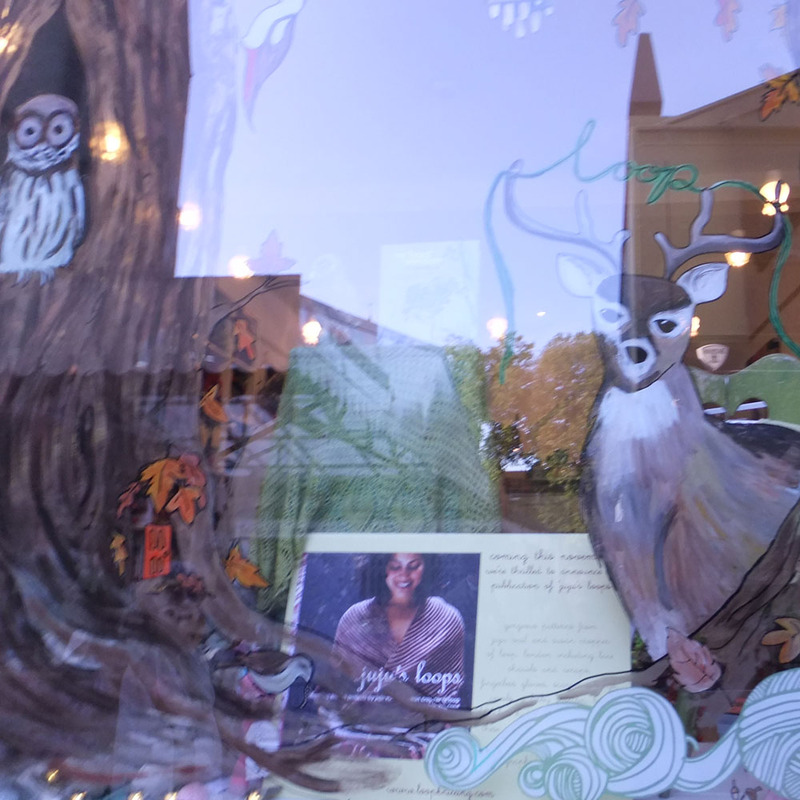 If you can manage to see past the horrible reflection you'll spot a wonderful Julie Arkell creation. 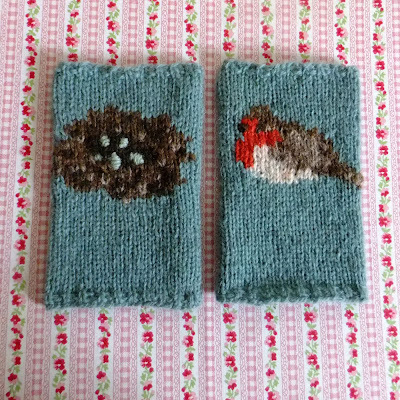 If you aren't aware of Stephanie's gorgeous knitting patterns I urge you to go and check them out at her blog or her etsy shop. Since the workshop I have cast on 4 more Tiny Owl project, that added to my Beekeepers Quilt makes 5, they are irresistible! What are you knitting at the moment? Where is your favourite place to shop for yarny supplies? They are lovely, so sweet. We don't have any nice wool shops nearby and I must try to hunt some out.